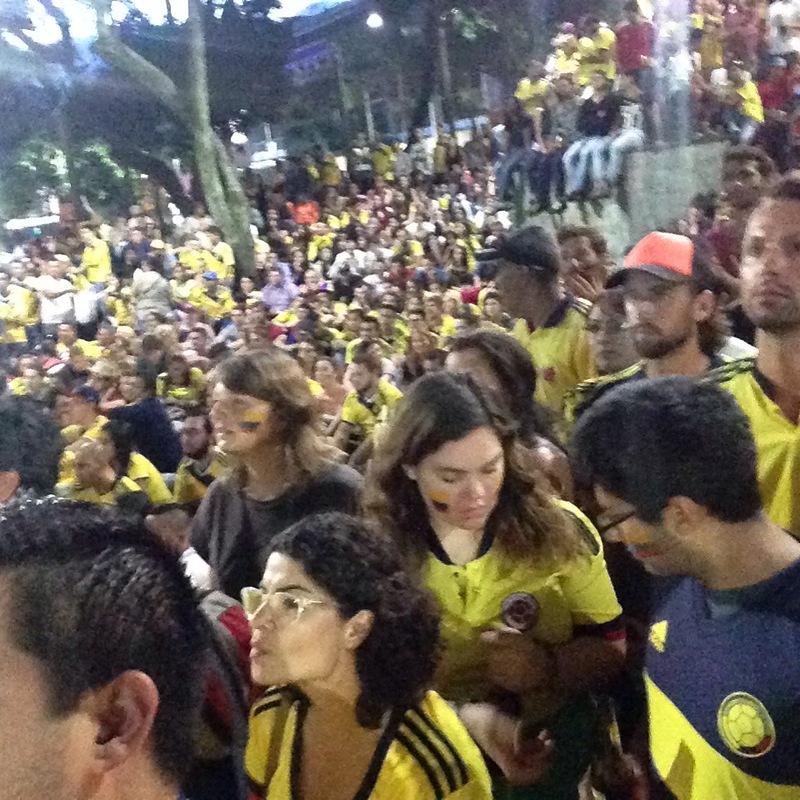 10 Tips for Talking with Someone Who’s Learning a New Language | Barranquilla or Bust! 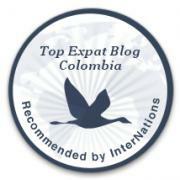 ← Barranquilla or Bust now featured on InterNations! Fast forward to Colombia, where I speak solid Spanish but, alas, with an accent. Ninety-nine percent of people are nicer than nice about it, and many offer compliments on my language proficiency. But once in awhile someone will turn to their friend to repeat the strange way in which I said something and share a laugh in front of me. I made the mistake of once ordering a passion fruit, or maracuyá, smoothie without emphasizing the correct syllable; I won’t do that again! Or occasionally, people will look at me like I spoke Greek – or worse, look to my husband for a “translation” – when I know I said something properly and understandably. Those occasions, while rare, can take a toll on one’s willingness to interact. Moving forward requires talking, which in turn requires relying on strangers to at least laugh with you rather than at you, and perhaps to find a way to help sometimes. I’ve doled out some “language superiority” attitude myself. I’m not proud of it. I admit to having spoken Spanish in order to shut people out and to speaking it simply to prove I could. Most recently, a taxi driver was trying to talk to me in English and I kept responding in Spanish. I did so because I was hurrying to the airport and wanted to communicate efficiently, but it was unnecessary because his English was quite good. As I settled in for the ride, he told me how he’d been listening to tapes and practicing by himself, and how he was working with his son so that his son would learn. I soon realized my initial insistence on Spanish was squelching his admirable effort to take advantage of every possible opportunity to practice English. Without the benefit of the years of classes I had had, this guy had achieved remarkable proficiency. Who was I to impede his continued success? I took a chill pill and we had a nice chat – in English. Don’t undermine self-confidence. The key to learning a language is to speak it. That means being willing to speak it imperfectly and sometimes face embarrassment. Respect the person who takes this risk daily. If the topic of the conversation is important, don’t get distracted by minor language mistakes or an accent. A serious conversation about a health concern or a family problem deserves your full focus, even if the person makes some mistakes or “talks funny”. The purpose of language is to communicate, so if you can understand, focus on the subject being discussed. Remember that talking on the phone is harder than talking in person. Non-verbal cues are helpful to someone who is practicing a new language. Speaking on the phone, without the benefit of facial expressions or hand gestures, can be intimidating. If you’re on the phone with a non-native speaker, extend a little extra patience and be willing to slow down, ask questions, or repeat yourself. Recognize that speaking a second language is particularly hard in environments with background noise or multiple people talking. Are you at the club, with loud music in the background? Or at a restaurant where a bunch of conversations are happening at once? The non-native speaker in the group may be feeling frustrated; it can be hard to understand when there’s interference. Make an extra effort to involve that person or chat with them one-on-one. Don’t assume that one thing said improperly means the person can’t speak the language. Learning a language is much like practicing a sport – some days you are in the zone and some days you aren’t. Even someone who is quite proficient has to try out new words, phrases, and manners of speaking if they want to get better. Or they may just be tired that day. If you speak both the language the person is trying to learn and their native language, reply to them in the language they used. If the person knows you speak both languages but spoke to you in the one that’s foreign for them – like the taxi driver did with me – they’re probably trying to practice. Give them the opportunity. Don’t feel superior because 1) you speak your native language well and they don’t, 2) you speak both your language and theirs, or 3) you speak not two languages but five. You cannot assume the person in front of you lacks intelligence because they are struggling with language. And if you learn languages easily or speak multiple languages fluently, then be grateful for your natural talent and/or the training you received. The other person may not have had the opportunities you did or may not have that particular gift, but it’s a sure bet they have others. Check your ego and treat the person as an equal. Don’t look at the person like they’re from outer space just because they have an accent. If you can understand them, then the accent does not need acknowledgment unless it’s in a complimentary or friendly way. If you can’t understand, simply ask for clarification. Put yourself in their shoes. Can you speak the other person’s native language? Do you have an accent when you do? What if you had to live your daily life in that language? Replace judgment with compassion. What may be no big deal to you may be a daily challenge for them. And if you have a friend who is making major progress, tell them so! Your encouragement could be the boost they need to risk embarrassment again tomorrow. We all have new things to learn and learning is easier and more fun with a supportive community. Onward! 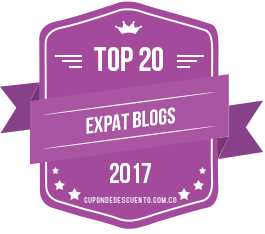 This entry was posted in Daily Life and tagged bilingual, Colombia, ESL, expat, language, language barrier, Latin America, Medellín, second language, spanish, travel. Bookmark the permalink. I lost so much confidence in my ability to speak Spanish because people would ask for translations from friends for what I had said, or make fun of my accent/mock me right in front of me. It didn’t make me laugh, it made me make a mental note to not talk to them after the conversation. Learning languages is hard! Courtenay, I was always jealous of your proficiency when we were together, I can only assume you are even better now that it’s been (holy crap!!!) almost two years. Keep it up! Great post, Courtenay! These are spot-on and I have seen many people break these rules, to disastrous, or at least embarrassing, consequences. I knew an English teacher in Korea who would constantly correct adults’ pronunciation even though there was no comprehension issues and make them say it again and again, as if he were their teacher. Respect and empathy are the main things. I like number 9. That horrified look on someone’s face when I try to say something in their language has been the quickest way to kill my desire to improve my language skills! This is a great piece. Love it.